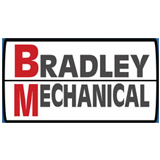 Bradley Mechanical – Orange County's AC, Heating, Ventilation & Refrigeration expert. We provide fast, affordable installations, repair and maintenance for air conditioners, furnaces/heaters, HVAC&R, systems. We have wide range of branded chillers, boilers, cooling towers and exhaust fans.